Evagrius Ponticus (c. 346-399) – was originally from Pontus, on the southern coast of the Black Sea in what is modern-day Turkey. He served as a Lector under St. Basil the Great and was made Deacon and Archdeacon under St. Gregory of Nazianzus. He was also greatly influenced by Origen of Alexandria and St. Gregory of Nyssa. In about 383, Evagrius left Constantinople, eventually retreating to the Egyptian desert and joining a cenobitic community of Desert Fathers. As a classically trained scholar, Evagrius recorded the sayings of the desert monks and developed his own theological writings. from “The 153 Chapters on Prayer”, Chap. 60. Kyriacos C. Markides (born November 19, 1942) is a professor of sociology at the University of Maine. He has written several books on Christian mysticism including Mountain of Silence, Gifts of the Desert, and Inner River. The following excerpt is from the book Gifts of the Desert, and gives what I consider an enlightened interpretation of John 14:6b. The context of the excerpt below is a QA session following a lecture on Eastern Orthodox spirituality. “Just as I was about to thank the participants for their attentiveness and end the workshop, a woman who had earlier identified herself as a “born again Christian” raised her hand with marked intensity. ‘Christ taught that only through him can one go to the Father. How should we understand this statement?’ Given my audience, it was the most challenging question I faced. I had the feeling that she needed affirmation for her beliefs and consciously or unconsciously wished to prompt me into declaring that only Christians will inherit heaven. Feeling somewhat uneasy, I reflected for a few seconds. I knew that, whatever answer I could possibly come up with, someone might feel offended or excluded. ‘Furthermore,’ I added, ‘I am not a biblical scholar who can offer an authoritative exegesis of scripture. I am certainly not a theologian.’ Inwardly, I asked for guidance as I placed my left hand in my pocket and fiddled with a komboschini [a string of black knots made out of wool that the Athonite monks use for ceaseless prayer]. Father Maximos had given it to me after pulling it off his own hand. It offered me a sense of security at that moment. Archimandrite Zacharias (Zacharou) , Ph. D., is a disciple of Elder Sophrony, who was a disciple of St. Silouan of Mount Athos. Presently, Fr. 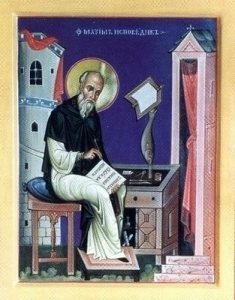 Zacharias is a monk in the Monastery founded by Elder Sophrony: The Monastery of St. John the Baptist, Tolleshunt Knights by Maldon, Essex, England. “The heart is within our chest. When we speak of the heart, we speak of our spiritual heart which coincides with the fleshly one; but when man receives illumination and sanctification, then his whole being becomes a heart. The heart is synonymous with the soul, with the spirit; it is a spiritual place where man finds his unity, where his nous is enthroned when it has been healed of the passions. Not only his nous, but his whole body too is concentrated there. St. Gregory Palamas says that the heart is the very body of our body, a place where man’s whole being becomes like a knot. When mind [rational faculty] and heart [noetic faculty] unite, man possesses his [whole] nature and there is no dispersion and division in him any more. That is the sanctified state of the man who is healed. The following is an excerpt from Metropolitan Kallistos Ware (b. 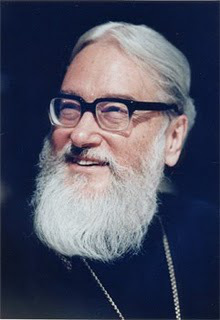 1934) in his Introduction to On the Prayer of Jesus , by Ignatius Brianchaninov, Kallistos Ware, Father Lazarus. “Ignatius [Brianchaninov] distinguishes three main stages or levels on this journey inwards, which he describes as “oral”, “mental”, and “cordial”; that is to say, prayer of the lips, prayer of the mind, and prayer of the heart”. “How is unceasing prayer possible? When we are singing the Psalms, when we are reading the Scriptures, when we are serving our neighbor, even then it is easy enough for the mind to wander off after irrelevant thoughts and images. Yet the Scriptures do not require impossibilities. St. Paul himself sang the Psalms, read the Scriptures, offered his own apostolic service, and nonetheless prayed uninterruptedly. Unceasing prayer means to have the mind always turned to God with great love, holding alive our hope in Him, having confidence in Him whatever we are doing and whatever happens to us. Fr. 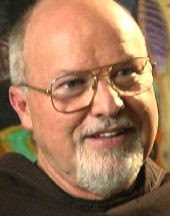 Richard Rohr, OFM (1943- ) is a Franciscan writer, teacher, mystic, and priest. He is at the forefront of Western Latin Christian efforts to restore their lost contemplative prayer tradition. He is the founder of the Center for Action and Contemplation in Albuquerque, NM. and the Rohr Institute’s Living School for Action and Contemplation. The Living School provides a course of study grounded in the Western Christian mystical tradition of the “Alternative Orthodoxy” of St. Francis of Assisi, St. Bonaventure, and Duns Scotus. 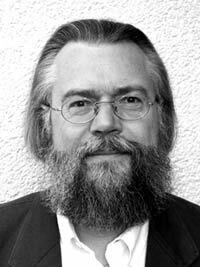 Dr. Jean-Claude Larchet (1949- ) is a French Orthodox theologian and is one of the foremost Patristics scholars writing today. Dr. Larchet converted to the Orthodox Church from the Roman Catholic Church at the age of 22. He holds doctorates in philosophy (1987) and theology (1994) from the University of Strasbourg.